Data are provided for the six behavioral traits analyzed in the main paper, along with information on the subject, social group, series, and observation #. The names of these variables should be self-explanatory and facilitate efficient replication using the R code provided. 1. Behavioural syndromes refer to correlated suites of behavioural traits exhibiting consistent among-individual variation, i.e. personality. Factor analysis (FA) is currently the dominant method for modelling behavioural syndromes in humans and animals. Although FA is useful for inferring the latent causes underlying trait correlations, it does not account for pairwise behavioural interactions that also contribute to syndrome structure. Given that latent factors and pairwise interactions are likely ubiquitous causes of trait covariation, both should be modelled simultaneously. Currently, however, behavioural ecologists lack an integrative framework for describing and inferring such behavioural syndromes. 2. Generalized network modelling (GNM), representing an integration of FA and Gaussian graphical modelling (GGM), meets this challenge. We provide a theoretical introduction to GNM as well as a method for detecting latent factors in GGMs called exploratory graph analysis (EGA). We then propose the novel EGA+GNM framework for modelling multiple sources of trait correlations and ensuring more robust causal inferences. To empirically demonstrate the utility of this framework, we compare models derived from EGA+GNM and FA using observational measures of social and arousal behaviour in common marmosets (Callithrix jacchus). 3. Using information-theoretic model comparison, we find support for the EGA+GNM models compared to models generated by FA. Two EGA+GNM models suggest that while latent factors contribute to the emergence of clustered sociability and arousal behaviours, correlations among these traits may also be partially explained by pairwise interactions. Additionally, these behavioural clusters are hypothesized to be causally linked by a positive pairwise interaction between allogrooming and activity level. 4. These results support our claim that EGA+GNM provides a superior and integrative framework for describing behavioural syndromes. 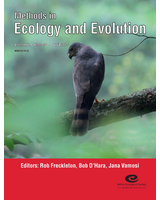 Consequently, by simultaneously modelling both latent factors and pairwise interactions, behavioural ecologists can better understand the evolutionary causes and consequences of animal personality. A formal overview of the EGA+GNM framework and a R tutorial demonstrating its application are provided in the electronic supplementary material.